Yes that would help. The last three times I tried to get a 2.1 for testing I received a 1.5. PM me and I will give you the address to send it too. Thanks. Did you receive the unit and will it help with the app? I ordered this unit with the hope that it would be version 1.5, but it was another 2.1. 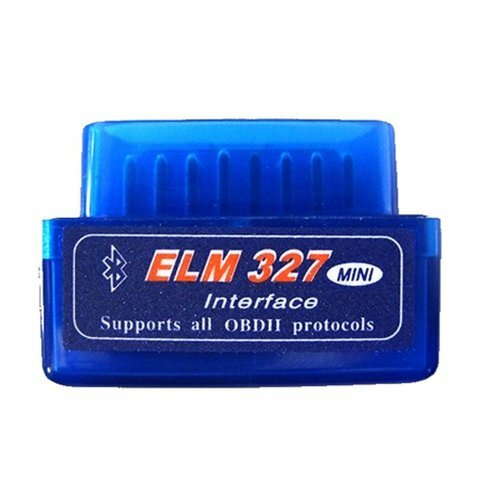 DougWantsALeaf wrote: Will any version/maker of ELM327 OBDII OBD2 Bluetooth work with Leaf Spy? I have had the best results with the 'Mini'. The Leaf Spy app. is showing that this device is version 2.1. It seems like it's kind of a crapshoot which version you get, even if it says V1.5. Jim, do you (or anyone else for that matter) have a verified ELM327 V1.5 that you would like to sell? Or can anyone make a recommendation on a particular device / seller that is reliably V1.5? Turbo3 wrote: For now I would stay away from any ELM327 listed as being v2.1. For clones this means a cost reduced version as there are only 2 circuit boards inside instead of 3. Being listed as v2.1 does not mean it supports the official v2.1 AT command set or even the v1.5 command set. So, if I can verify with a seller that the ELM327 has 3 boards instead two, this would be indicative of a V1.5 - correct? Will the Scantool BDLINK LX work? While more expensive, I can at least rely on it being genuine. This is the one I ended up going with. It is one of the devices listed on the wiki page. It was about $24.00 before shipping, and it is bulky - i.e. probably not good for leaving plugged in when driving and during ingress/egress, as it hangs down into the footwell and most likely would get kicked unless you are extremely careful. Let us know if it is v1.5 Gary. I am still withholding purchasing another as I have ordered to v2.1 and I'm hesitant to get another unless I know it is 1.5.
doggyollie wrote: Let us know if it is v1.5 Gary. I am still withholding purchasing another as I have ordered to v2.1 and I'm hesitant to get another unless I know it is 1.5. Yes, it comes up as V1.5 on the Leaf Spy screen.
. . . and it works!! Time to upgrade to the Pro version now!